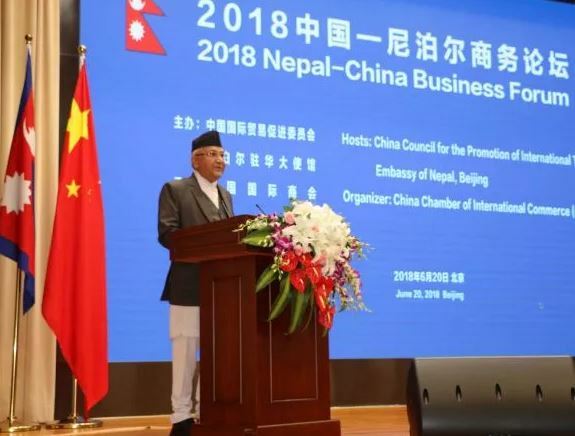 It is a distinct pleasure for me to be amongst the prominent business leaders from China and Nepal. It is always a pleasure to come to a close friendly country on a visit. This is my second visit to China as the Prime Minister of Nepal. I visited China earlier in March 2016 during my first tenure. I thank you for warmly welcoming me and my delegation here today. – A key driver of global growth and prosperity. 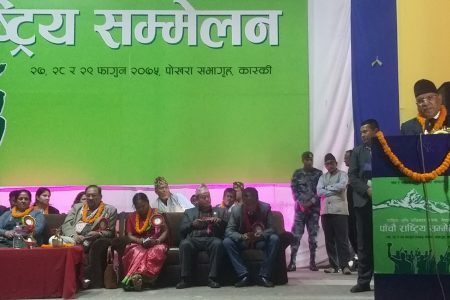 The unification of two leftist parties, namely CPN (UML) and CPN (Maoist Centre), will provide much needed political stability in the country. Building on political stability, we have undertaken a decisive journey towards development and prosperity. Our motto is ‘Prosperous Nepal, Happy Nepali’. My government is committed to translating people’s aspiration for peace, stability and prosperity into reality. Economic prosperity should not and cannot be a long-deferred dream for Nepali people. We aspire to become a middle-income country by 2030 and graduate from LDC status at an early date. Investors always look for market, which is not a problem in Nepal. As you all know, Nepal is located between two vibrant markets of the world, India and China with a population of over 2.5 billion. Production is the only problem. Our productive capacity is limited. We enjoy Duty Free Quota Free (DFQF) access into Chinese market to more than 8000 Nepali products. We have been requesting the Chinese government to grant enhanced level of market access to 512 tradable products. We also enjoy duty free access to European market and preferential market access to the USA for over 70 products as an LDC. I am here to listen to you and know your views. Let me highlight some potentials in Nepal. Nepal- a lucrative land for investment in hydro sector with more than 1,00,000 MW capacity, but remains untapped so far. Nepal- a reservoir of mines and minerals such as iron, cement and precious stones, yet to be explored. It will be developed as an institution to permit investment through one-door system promoting public private partnership. There is a favourable fiscal environment in Nepal. I would like to encourage the Chinese tourists as well as travel/tour agencies to make the best use of Nepal’s visa fee waiver facility. 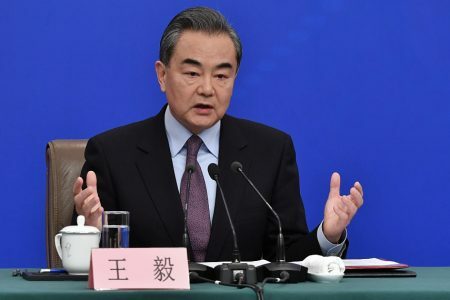 And I assure you, Chinese friends, that your venture in Nepal will be profitable and secure. You will gain, not loose. With these words, let me once again thank the organizers for this programme.